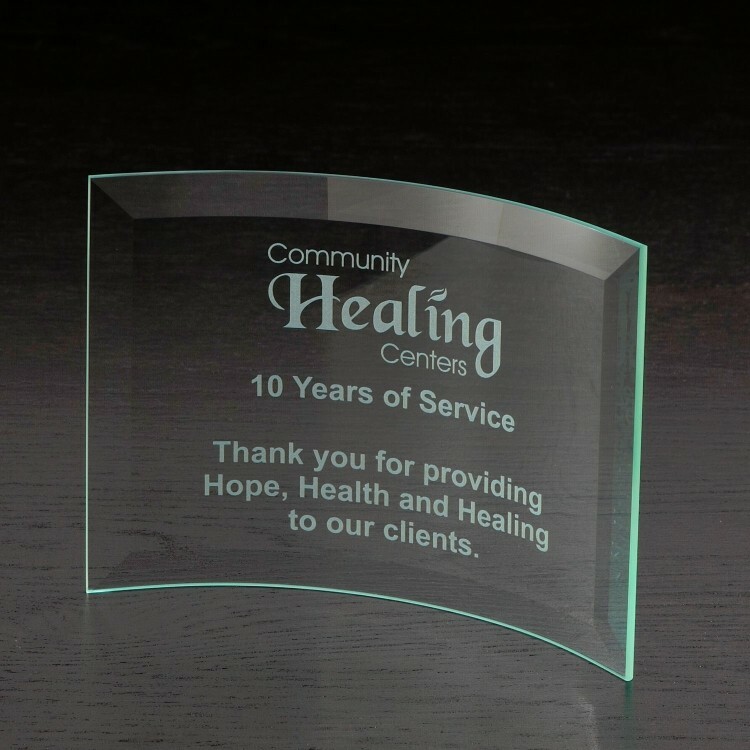 7" x 5" x .1875"
Product Highlights: These curved Jade Glass awards allow for ample imprint area to get your corporate message across. Also available in other sizes: IC7158 Large, IC7157 Medium, and IC7155 Extra Small. Made in the USA!